There are a range of treatment options available for people who suffer from sciatic nerve pain. In a lot of cases home remedies, lifestyle modification, rest, and proper self care can relieve ongoing sciatica. But when the pain is stubborn and/or prevents you from daily functioning, additional treatment might be necessary. Often the first line of clinical treatment includes a combination of physical therapy and pain management. Medication is frequently used in treatment. Non-steroidal anti-inflammantory drugs (NSAID) are by far the most common over-the-counter medications. 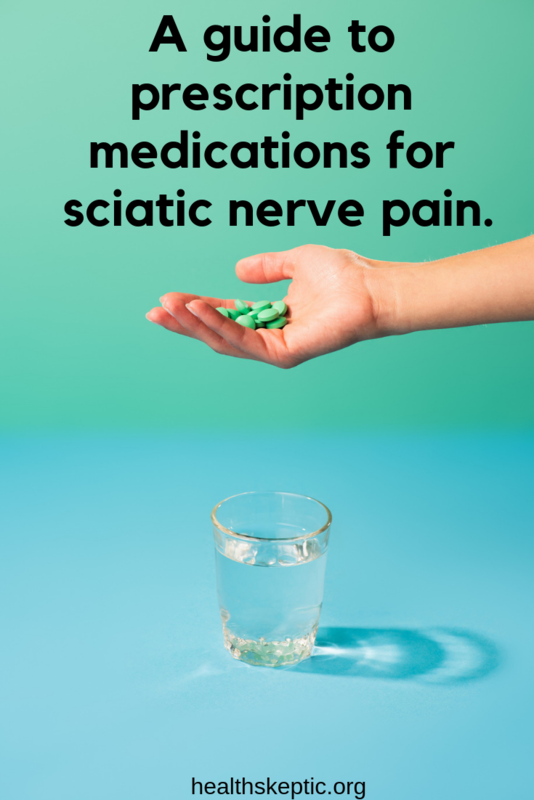 Prescription medications for sciatic nerve pain can also be a part of treatment, typically if over-the-counter drugs don't help alleviate symptoms. This guide will summarize how doctors use medication to treat sciatic nerve pain. We completed a PubMed search for “sciatica medication” and “medications for sciatic nerve pain”, and also researched the top academic health websites. Our guide is a roundup summary of what the experts in the field of pain management have to say on the topic. Note that this is not an endorsement of any particular medication. Most of the discussion on back pain has been about correcting bad posture and exploring natural pain management techniques. But without a doubt, prescription medication can sometimes play an important role in treating back pain and sciatica, and thus it is worth summarizing here. Disclaimer: Always consult your physician for questions about any particular treatment or medication. Every physician guideline recommends the use of medication as one part of a multi-disciplinary treatment approach. There are many effective non-pharmacologic treatments for low back pain and sciatica that should be explored, including acupuncture, physical therapy, cognitive therapy, and exercise. Much of the information about sciatica in the medical includes a discussion of both sciatica and lower back pain, though the two are not synonymous. Thus the following information is applicable to both diagnoses. The National Institute for Health and Care Excellence (NICE) in the United Kingdom has provided useful guidelines for using both prescription and non-prescription medications to treat sciatica. To summarize, the Institute recommends beginning with oral NSAIDs to manage low back pain, at the minimum effective dose and for the shortest period of time. If NSAIDs do not work or aren't tolerated, doctors can consider “using weak opioids (with or without paracetamol)”. Interestingly, NICE advises against offering antidepressant medications for managing low back pain . Physician best practices for sciatica treatment in the United States overlap with the recommendations made by NICE. Use of NSAIDs is the recommended first-line treatment. However the American College of Physicians recommends use of tramadol and duloxetine (a serotonin–norepinephrine reuptake inhibitor antidepressant) as the second line of treatment, in contrast with NICE. For pharmacologic treatment of sciatica and low back pain, NSAIDs are the recommended first line. Doctors recommend low-dose medications that can be purchased over the counter, such as Ibuprofen or Tylenol. The over-the-counter NSAIDs are meant to provide pain relief. Prescription NSAIDs may be necessary for pain relief if over-the-counter drugs are ineffective. However, sciatica is not characterized by inflammation, and so the anti-inflammatory properties of prescription NSAIDs are unhelpful. 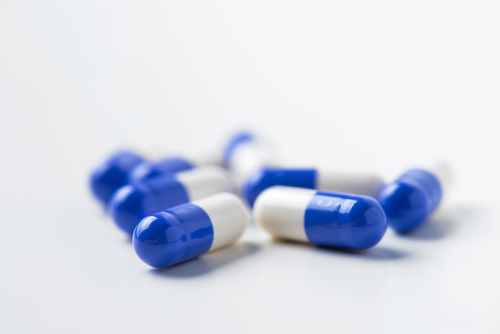 Whether over-the-counter or prescribed, NSAIDs are only meant to be taken for a short period. These drugs raise the risk of heart attack and stroke and may cause kidney damage if used too frequently. Most professionals advise against taking NSAIDs for more than 10 days. If your pain is not responding adequately to NSAIDs, a different medication might be in order. If your sciatic nerve pain does not respond to NSAIDs, you're not alone. A systematic review found that most people experience only a minor improvement in pain when using NSAIDs as compared to placebo. As we noted earlier, there is some disagreement about the appropriate role for prescription antidepressants in treating back pain and sciatica. But plenty of physicians consider antidepressants to be an important part of a multidisciplinary approach to treating pain. While the pain-relieving ability of an antidepressant isn’t fully understood, it’s believed that these drugs work in the central nervous system (which includes your brain and spinal cord) to reduce pain signals. This is why antidepressants are particularly well-suited for people with neuropathic pain—that is pain that originates from the nerves. Fibromyalgia is an example of a neuropathic pain condition. Excerpt from original article published here. He also notes that antidepressants can help with sleep and anxiety, both of which can affect daily pain levels. There are several different classes of antidepressants. The most commonly prescribed are selective serotonin-reuptake inhibitors (SSRIs), serotonin and norepinephrine reuptake inhibitors (SNRIs), and tricyclic antidepressants. The most appropriate antidepressant will depend on a variety of factors. Treatment of sciatica with antidepressants will be for a longer time period than NSAID treatment. Opioid drugs are effective for relieving back pain, though given their potential for addiction they should only be used when other treatments fail to address symptoms. They are used in clinical settings for acute back pain that requires immediate relief, and to treat long-term chronic back pain. Treatment with opioids should be closely monitored, and should only happen when other options are insufficient. Common opioid drugs for sciatica include Vicodin, OxyContin, Duragesic, Demerol, and Ultram. Each of these drugs has a similar mechanism for relieving pain symptoms. Since sciatic nerve pain is distinct from muscular pain, the frequently-prescribed muscle relaxants for back pain may be ineffective for sciatica. However, people who suffer from a combination of low back pain and sciatica may find at least some relief with muscle relaxants, especially if they experience muscle spasms in their low back. Prescription medications for sciatica may be necessary to provide treatment and pain relief. They are best used as part of a multi-disciplinary approach that also includes non-pharmaceutical interventions.